Paula Johanson Books: Smashwords Sale Ends Soon! We're at the last couple of days for the Smashwords sale of the ebook editions of my books from Five Rivers Publishing. 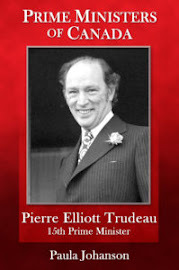 If you're needing some good ebooks to read this summer, look here for not only my novel Tower in the Crooked Wood, and King Kwong (my biography of hockey hero Larry Kwong), but my biography of Pierre Trudeau that's due to be released in December. It's always fun to have plenty of ebooks on a reader. When you go to the link, be sure to look at the other fine titles from Five Rivers too!